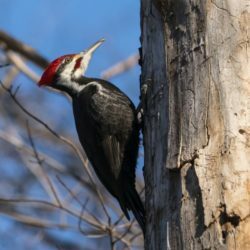 Chikaming Open Lands (COL) received two new nature preserves this past December, Harbert Woods Preserve in Harbert and Merganser Point Preserve in New Buffalo. 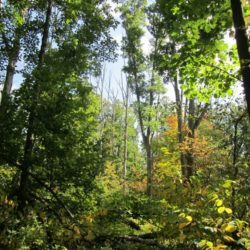 While these two preserves are new to COL, they were originally protected by Southwest Michigan Land Conservancy, which is based in Galesburg, MI. Though relatively small, the 5-acre Harbert Woods Preserve and 10-acre Merganser Point Preserve each boast high- quality natural ecosystems. 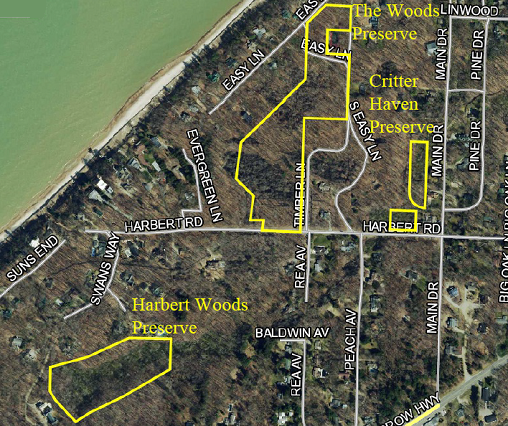 Harbert Woods Preserve is located to the east of a high lakeshore dune only a few hundred feet from Lake Michigan. 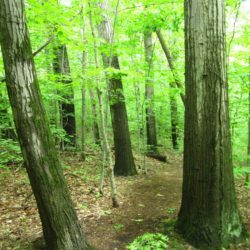 The southern and western edges are mature woods with large red maple, tulip poplar and yellow birch trees. The bountiful wetlands found on the preserve, along with an abundance of spring wildflowers and towering trees, give the area a unique oasis for the local wildlife. 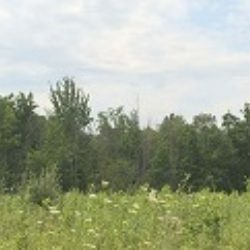 It is also in close vicinity to two other properties we have protected, Critter Haven Preserve and The Woods Preserve. Merganser Point Preserve is located just adjacent to where the Galien River meets the New Buffalo Marina. It is best viewed from the river itself, but it can also be seen from the Whittaker Street bridge looking to the northeast. Consisting mostly of wetland, Merganser Point provides essential habitat for a diverse array of plants and wildlife of the Great Lakes Coastal Marsh ecosystem in which it is situated. 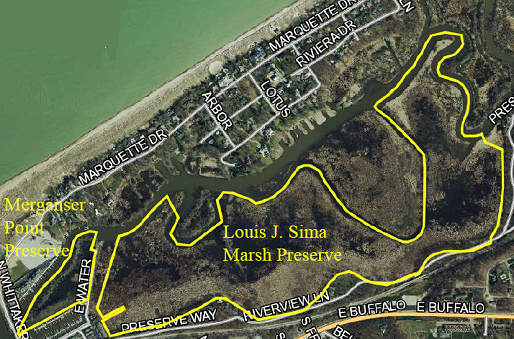 It is also adjacent to COL's Louis J. Sima Marsh Preserve. 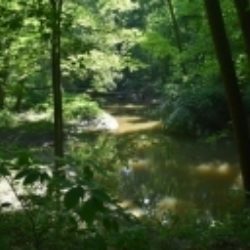 So why would one land conservancy transfer protected property to another? If it is already protected, isn’t that enough? Land conservancies are all pursuing a common goal--to facilitate conservation in their communities. So we are always eager to work together towards that end, and to help each other out wherever we can. Land transfers are one way we do that. It works for everyone, allowing land conservancies to share and manage resources efficiently with local knowledge to provide the best care of our properties, and to ensure the most benefit to our communities. 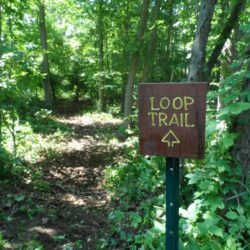 Robinson Woods Preserve, Grand Beach Marsh Preserve and Dayton Wet Prairie Preserve were land transfers from The Nature Conservancy to COL. The Nature Conservancy is a global conservation organization that is actively protecting land in over 72 countries, and they frequently transfer protected properties to established land trusts to ensure proper care, conservation, and restoration work is accomplished at a local level. 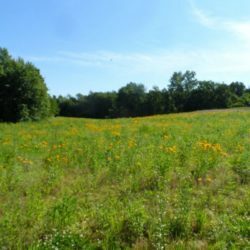 Interested in helping protect our local land? Become a COL volunteer! Contact the COL office for volunteer opportunities or attend one of stewardship workdays.